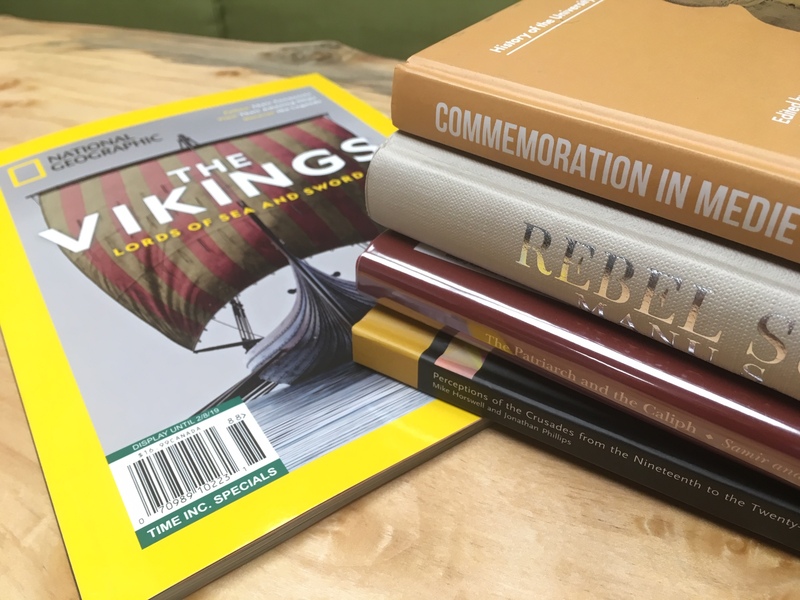 Excerpt: Today, most of us can reel off a host of details about the imagined Vikings – how they fought and feasted, where they raided, how they died. But how much do we really know about these ancient Scandinavians? How did they see the world? What were their lives truly like? Now, with advanced technology – from satellite imagery to DNA studies and isotope analysis – archaeologists and other scientists are coming up with surprising new answers. Excerpt: How did the people of medieval Cambridge choose to be remembered after their deaths? They could opt for prayers, Masses and charitable acts, tomb monuments, liturgical furnishings and other gifts in the town’s parish churches and religious houses, while the university and its colleges also provided intercessory services and resting places for the dead. Excerpt: To know India, then, we must know the Deccan. But to tell all its tales together is a daunting proposition – the land is rich, and a thousand pages would not suffice. The ambitions of the book you hold, therefore, are necessarily more modest. We begin in the age of the Sultans of Delhi, one of whom, Alauddin by name, marched to the south at the end of the thirteenth century, demolishing what lay accumulated from generations before. Heroic dynasties of whom we learn in ancient texts – Kakatiya, Yadava and Hoysala – were reduced to ashes, and the peninsula stood shaking at the crossroads of catastrophe. But from the ruins of that old world something new was created; something that endured fro three and a half centuries, leaving an indelible mark on the destiny of the Indian people. Excerpt: One of the most celebrated dialogues between representatives of Christianity and Islam is the private conversation between the patriarch Mars Timothy I (779-823), the Nestorian patriarch, and the caliph al-Mahdi (775-785), the highest-ranking religious and civil authority of Islam at the time. It is also one of the first recorded dialogues and the most eloquent to date. The two-day-long encounter took place in Baghdad in the year 781. Excerpt: Some historians regard Napoleon’s conquest of the crusading order of the Knights of Saint John on Malta (1798) as an end point for crusading. This is, however, only a marker of convenience. What becomes strikingly apparent from around the same time onwards is a resurgence and revival in the use of crusade ideas in both Western Europe and the Near East. European expansion into the Mediterranean in the nineteenth and twentieth centuries led to a greater fascination with the lands and history of the crusades alongside material involvement in the form of consular presence, archaeological exploration, tourism, pilgrimage, heritage preservation and direct control. As European power and influence in the Mediterranean increased, Britain, France, Germany, Belgium, Russia and Spain, for example, all harkened back to a crusading past.